"In any relationship, the essence of trust is not in its bind, but in its bond. The most difficult virtue but the most noble of mankind is Trust. It is also the most important and respected virtue a person can have in life. For it to be a relation between husband and wife, friends, family members, parents and their children or even in a work environment TRUST is the quintessence basis of it all. 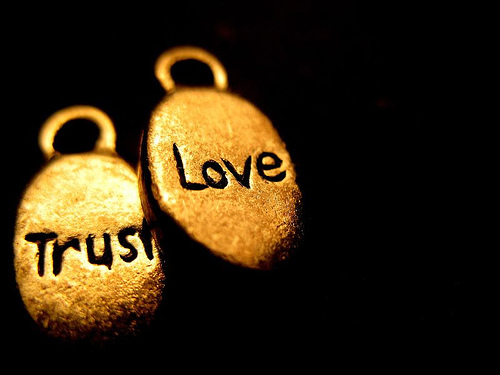 Trust binds us together, makes us believer to a cause or person, and brings ease to forgiving. Trust is a deserving gift; you earn it when bringing someone to life (your children have blind trust toward you) and through your behavior in life. Life experience will dictate how we share or hold back our trust. We can help develop the attitude of trust toward us but this only happens if we realize and understand the importance of the virtue and know to take it seriously.